Hiya guys, I was sanding down my downstairs bathroom wall ready for painting and a small peel of paint reared it's head, so I made the mistake of tugging it, well a huge peice of old dry paint peeled away. Not to worry I thought, I'll just paint over it, however it is pretty unsightly. Now some areas in my home have bad patching of filler jobs done by landlords, but this is one a room frequented by visitors etc, and I can live with the other uneven fills in the house but want to repair this, how should I do it? So far I have been advised to buy some of that Polyfilla Spray and cover the small area then use a taper knife to spread even (was told I shouldn't need to sand - although have already sanded the edges of peeled paint area). Is the Polyfilla spray the way? Or is there an easier way I'm unaware of? Thanks in advance. Having never used Polyfilla spray I’m not too sure on the results. After a little research it appears that you can spray it on and then smooth it using a filling knife, but unless you are a dab-hand at using filling knifes you normally tend to get a few lines that need sanding afterwards, just to get that perfect finish. 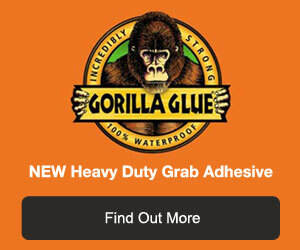 In terms of other products - most easily pliable interior fillers should be fine to use. There isn’t really another way of repairing this type of surface imperfection without filling it I’m afraid. You may also need to run around the edges with a piece of sandpaper after your chosen filler has dried, just to blend it with the existing edges to avoid any “hard edges” from being obviously visible. As it looks from your image, this is quite a sizeable patch so you will need to make sure that you get an even spread and thickness of filler across the entire area, that covers the patch to the same depth as the existing covering to ensure that it’s as invisible a repair as possible, probably worth a bit of practice first, in terms of spreading and applying the filler.